This sounds a little crazy but it is good, and it definitely works. If you’re ever feeling totally dehydrated – you know when your eyeballs feel dry, and your throat is parched, and your body feels a bit like the Sahara – this is the drink for you. I’m not sure about absolute measurements. I usually just toss things in a big cup and add water but I’ve tried to make reasonable estimates. Whatever the case, you can’t go wrong. Simply mix it up and drink. You’ll feel immediate hydration! Sounds weird right? It’s a bit kooky but it’s good and it works. Andrew woke up with a sore throat and feeling totally under the weather. 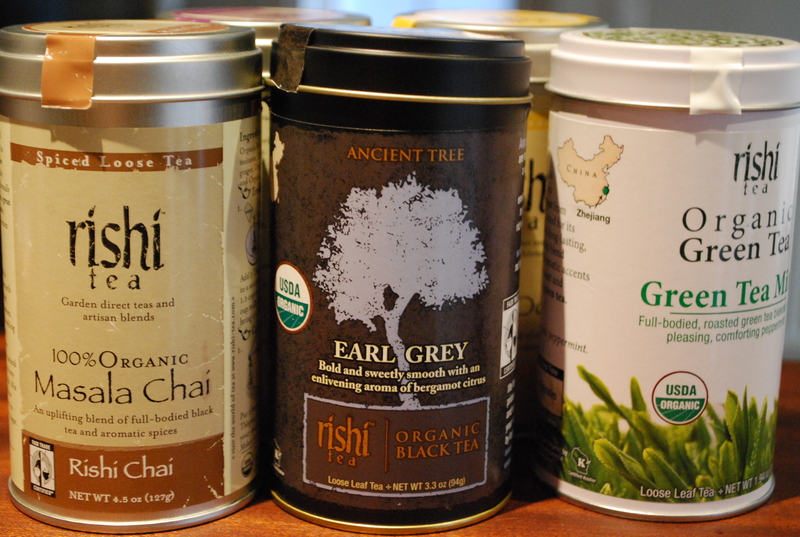 I had a hunch I would find the right drink in my new Modern Ayurvedic Cookbook and I did! 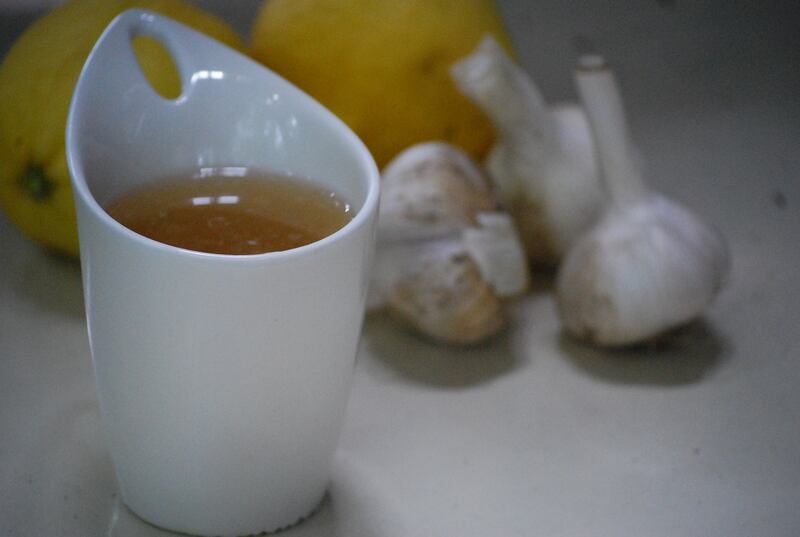 It’s Shelley’s Garlic Ginger Tea and “Shelley swears by this tea whenever she catches a cold or cough that she can’t seem to shake.” Try it. It works because food is healing. Eat and drink the right stuff and you’re on the road to recovery! In a large pot on high heat, combine garlic, cayenne, ginger, and water. Bring to a boil, then reduce heat and simmer for 30 minutes. 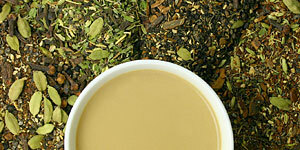 Strain, serve with maple syrup and a squeeze of lemon. Drink throughout the day. 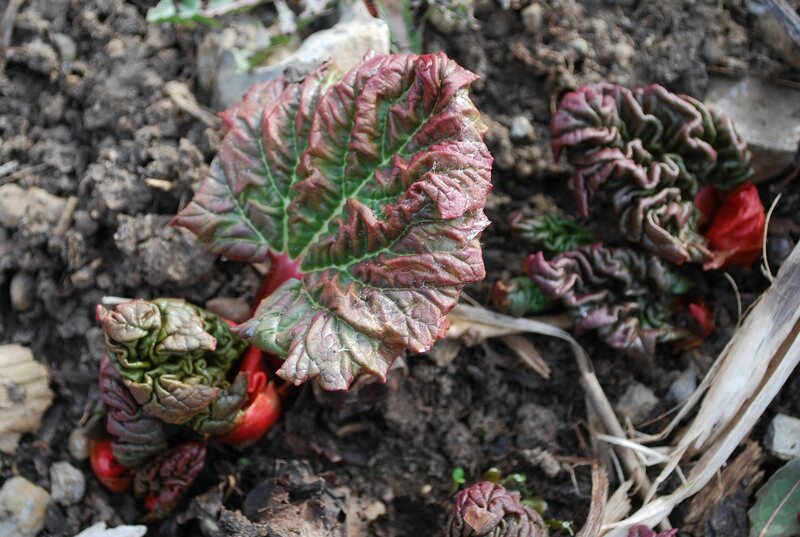 We came to the farm for Easter and, low and behold, the rhubarb is coming out of the ground! Not surprising since it’s such an early bloomer, but it still amazes me each time I see its red and green leaves pushing out of the earth so early in the season. Doesn’t it know it could turn quite cold again? Alas, it’s a very hearty plant. In honour of rhubarb’s robustness, initiative, and tenacity, I am going to give you an incredible compote recipe. It’s from The New Basics Cookbook by Julee Rosso and Sheila Lutkins. I made it last spring, canned it, and enjoyed it until Christmas when my family wolfed it down one breakfast with rhubarb coffee cake (recipe to follow if I can figure out how to truly vegan-ize it). I wish I had made more. It would be particularly scrumptious if you wait until the strawberries come into season. But perhaps you have some frozen from last season? Whatever the case, beware. 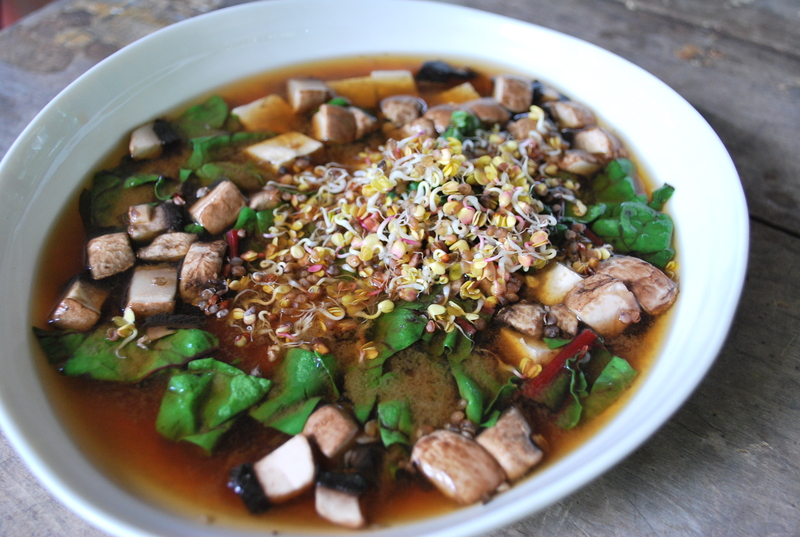 This recipe is awesome and addictive. 1. Combine all the ingredients in a heavy saucepan. Stir well and bring to a boil over medium heat. Reduce the heat and simmer, stirring once and skimming off any foam that forms on top, until the rhubarb is just tender, 10 to 12 minutes. 2. 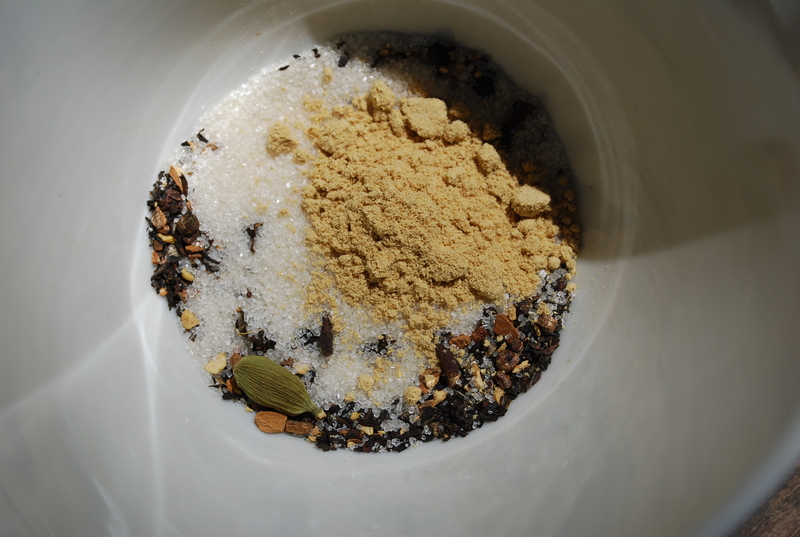 Remove the vanilla bean and let the mixture cool to room temperature. Then cover and refrigerate. It will keep for two days. The refresh cookbook by Ruth Tal is fantastic. There are a number of soups I want to try out (butternut squash and pear with coconut milk – sounds yummy!) so I’ll get back to you on those. 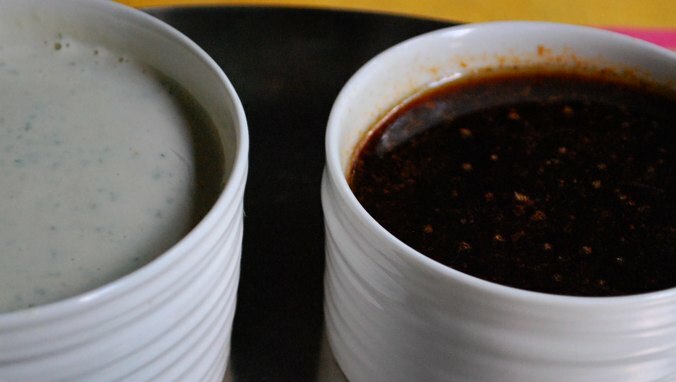 In the meantime I thought I should highlight two of their sauces that are the perfect accompaniment to rice and veggies, or what they call rice bowls. Rice bowls are simply steamed brown basmatic rice (but you can use any rice) topped with, well, pretty much anything from tofu to grilled vegetables to nuts and seeds. My favourite is sticky rice with grilled peppers, zucchini, fennel, maybe some steamed greens, sesame seeds and/or tamari sunflower seeds and then, of course, these two sauces – tahini and tamari. Dollop on liberally and enjoy. It’s good, it’s filling, it’s nurturing. Vegan comfort food. And because you build it yourself, the kids can opt in and out of whatever tickles their fancy or not. Everyone’s happy. Whiz ingredients in a blender or food processor. 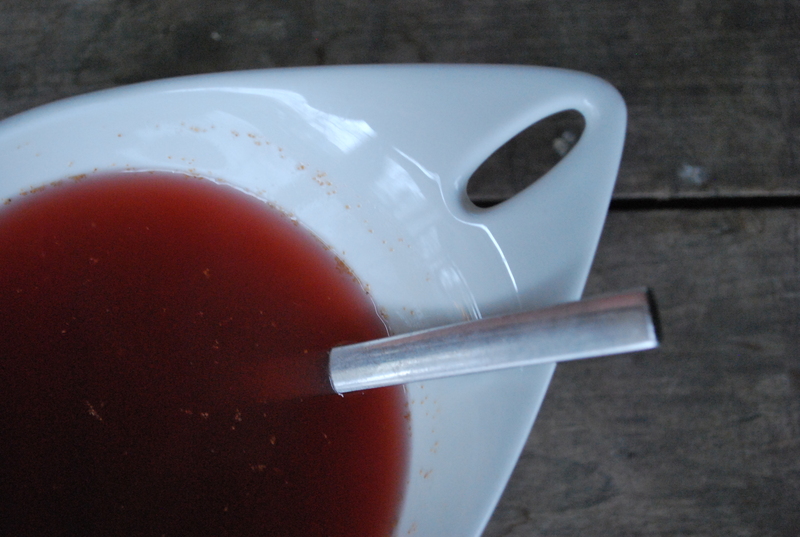 Run until smooth, scraping the sides down once or twice. Put all ingredients in a saucepan. Bring to a boil and let simmer for 10 minutes. Remove from heat and let cool. 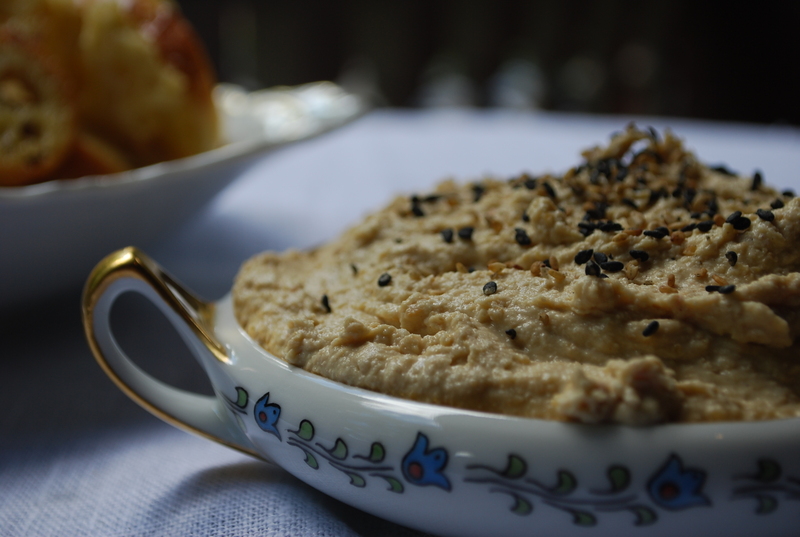 I’ve tried a number of hummus recipes which have all been more or less good. Last night I tried this new one. We decided we like it best. Not sure why – flavours are a little more subtle, it’s softer and smoother, it doesn’t firm up the way others do after a day or two. It’s a good one. It’s from a cookbook I bought awhile ago but haven’t really explored fully – Tassajara: Dinners and Desserts. I’m now motivated to work my way through it, especially after reading about their very appealing approach to food (Musing #5). If I could only tap into that. Wow! Watch out. The Tassajara Zen Mountain Center is the oldest Japanese Buddhist Sōtō Zen monastery in the US located in the Ventana Wilderness area in California. It attracts serious zen practitioners and is known for its mission of teaching teachers. They eat this hummus. Now that’s a powerful endorsement. Prepare the chickpeas (either cook dried chickpeas or rinse canned chickpeas). Puree chickpeas with remaining ingredients and about 1/4 cup of water. Check consistency. If you want it less stiff, add more olive oil, tahini, and/or lemon juice. Add salt to taste. Filed in Got the Munchies? Make up your own soup. I think I’ve never made the same one twice!